Economic Uncertainty. Wild Fires. Severe Storms. Floods. Earthquakes. 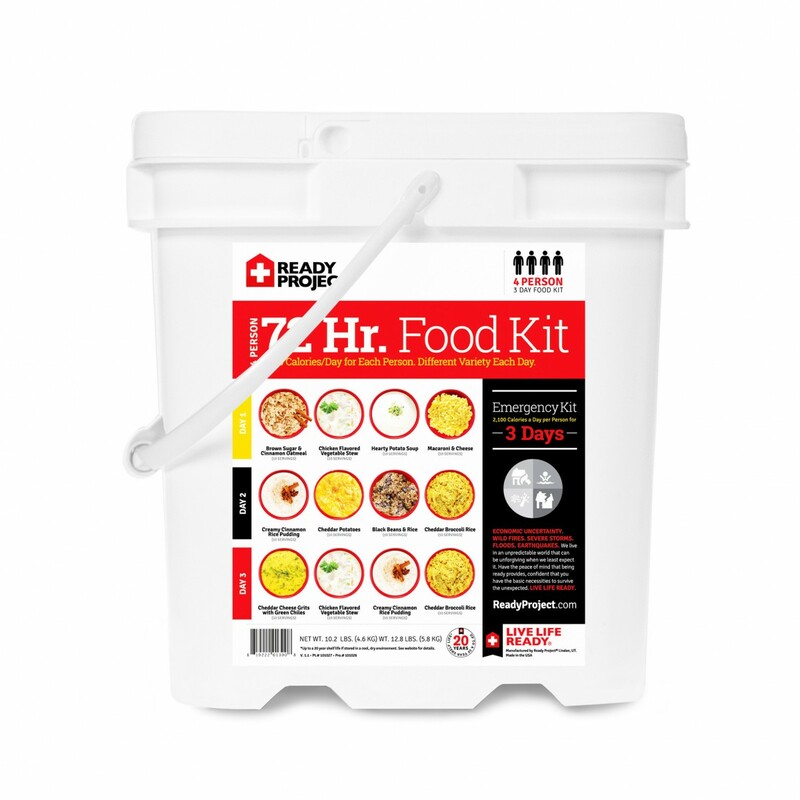 Ready Project’s 4 Person 3 Day Food Kit get’s the job done. 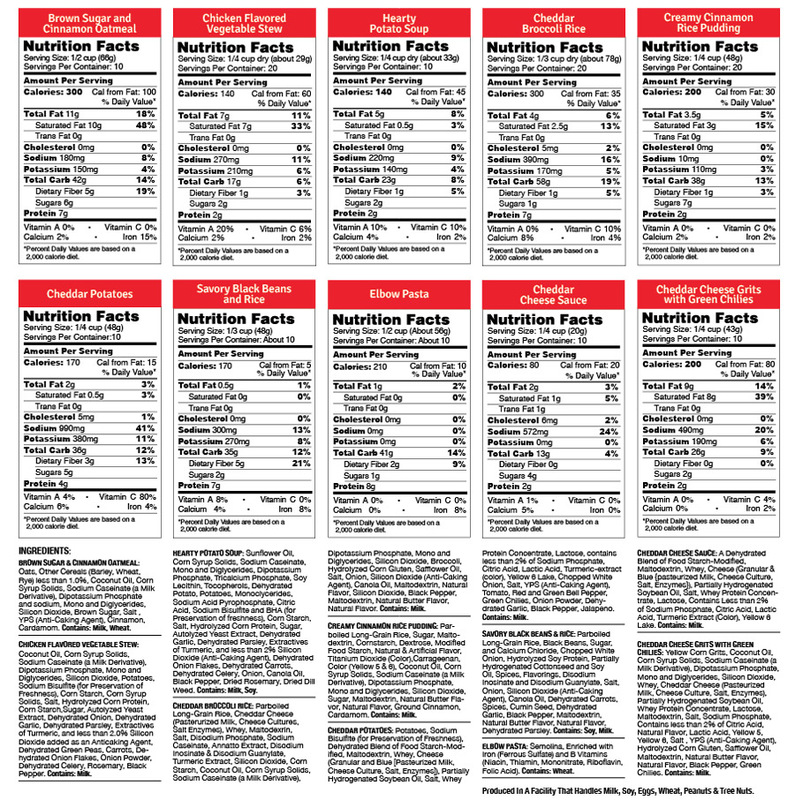 Each day’s meals are planned out with a different variety every day. 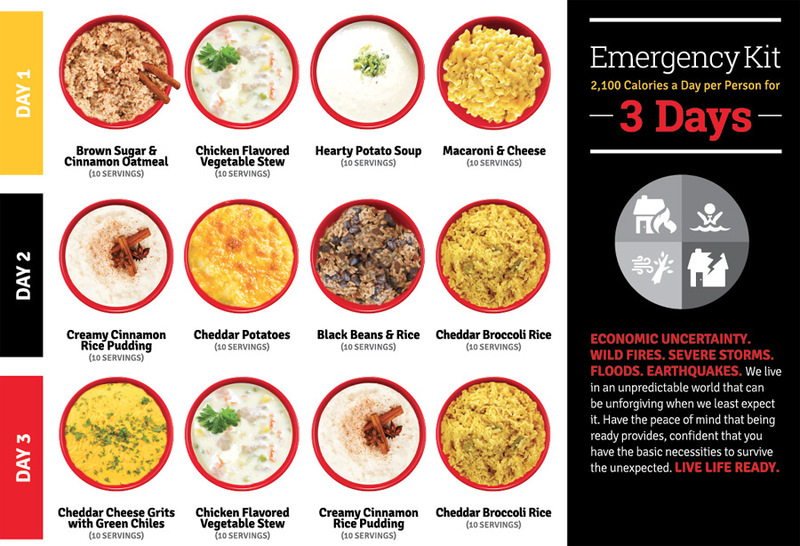 Even for 4 People this kit packs in 2,100 calories per person for 72 Hours. Whether it’s being prepared or simply going camping for a few days the Ready Project keeps it simple, keeps it real. Convenient 10 Serving Pouches. Use the entire pouch at each meal. Shelf Life: up to 20 years if stored in a cool dry place. SKU: 2-0607. Category: Chefs Banquet.